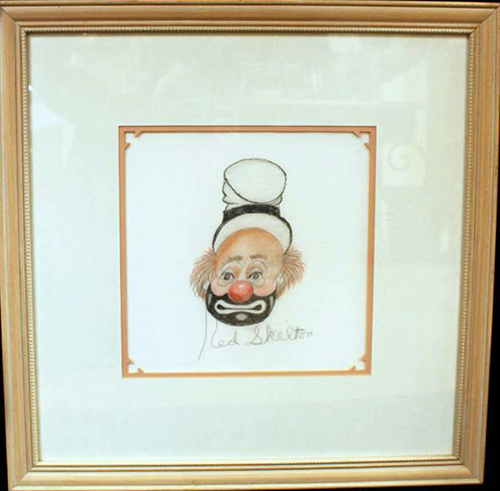 This is an original one-of-a-kind mixed media drawing on linen, hand signed by the internationally acclaimed artist, Red Skelton. The drawing is on a linen handkerchief owned by Red Skelton. 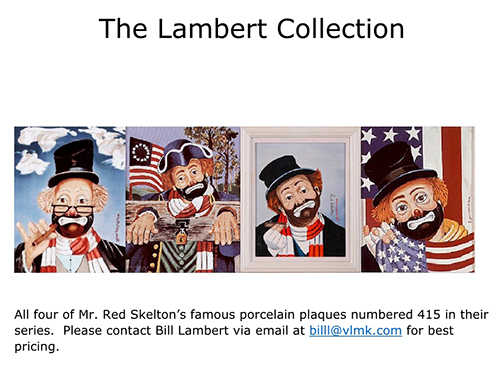 This unique work of art features Mr. Skelton’s most popular character known around the world as “Freddie The Freeloader.” Mr. Skelton’s character lived in the city dump but helped those who had less than himself. “Freddie” is a beloved character who always helped children and visited hospitals to cheer up the sick. This mixed media drawing measures approximately 11” x 11” and is beautifully framed to an outside measurement of 22” x 22”. Contact the seller listed below if you are interested in purchasing.